WARDING OFF MORE SERIOUS AILMENTS. 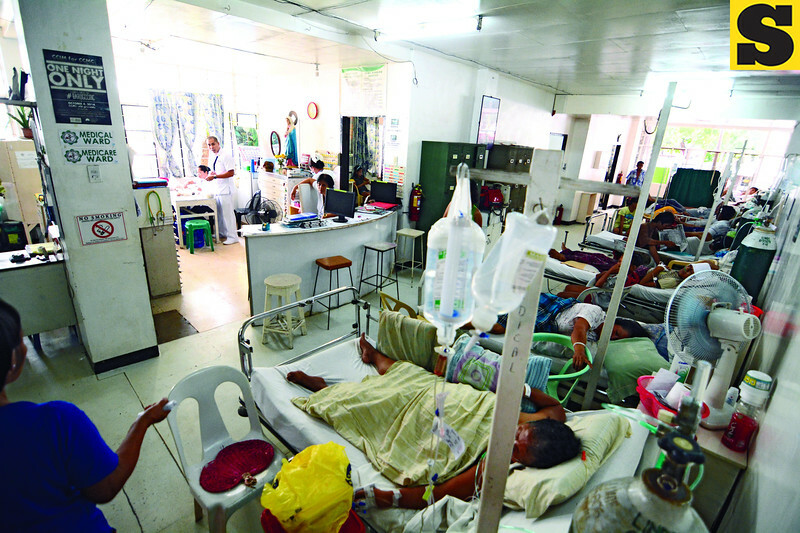 The Cebu City Medical Center’s (CCMC) temporary emergency rooms, surgery and internal medicine departments share what used to be the Burea of Fire Protection’s parking lot on N. Bacalso Ave. An old gym and office spaces have been converted into wards (like the one in photo) and the outpatient department, among others. Councilor Mary Ann delos Santos, chief of the CCMC ad hoc committee, says the City intends to start the fi rst phase of the new hospital project this month.